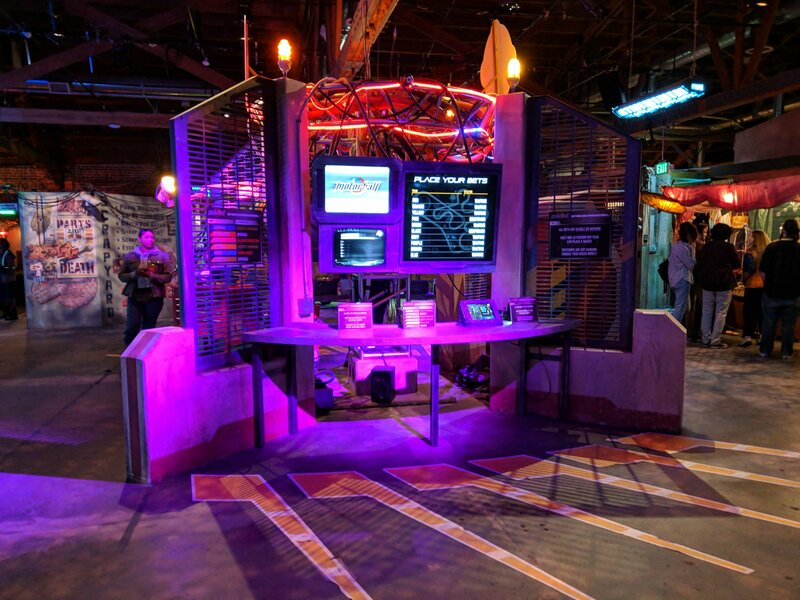 Passport to Iron City takes contestants on an immersive experience, filled with futuristic fun and games. 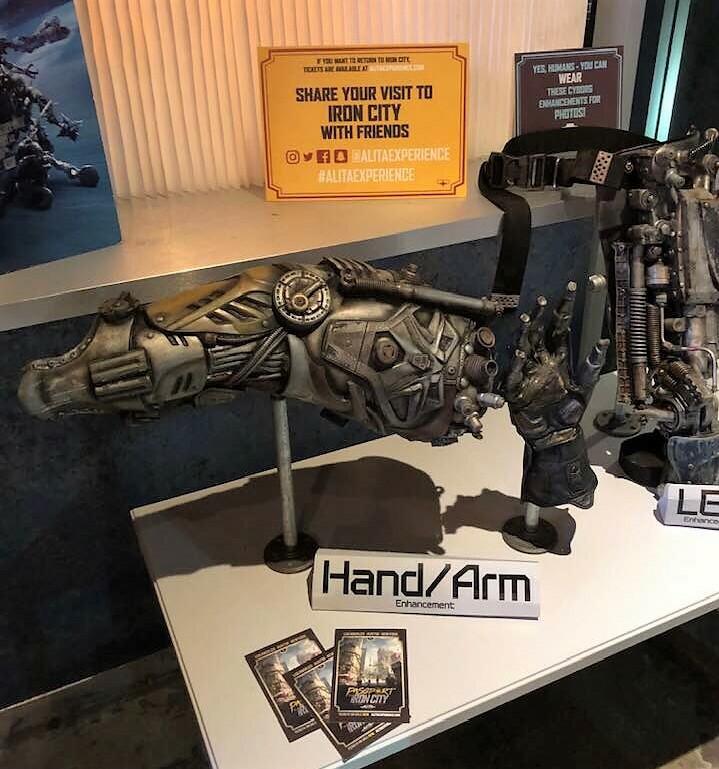 If you have seen Alita: Battle Angel and just can't get enough - or even if you haven't seen the film at all - Passport to City will immerse you in the film's grungy world, allowing you to navigate your way through a futuristic marketplace, where you will face a variety of challenges testing manual dexterity, brain power, and tactile sensitivity. What, exactly, is Passport to City? It's easier to begin with what the attraction is not. 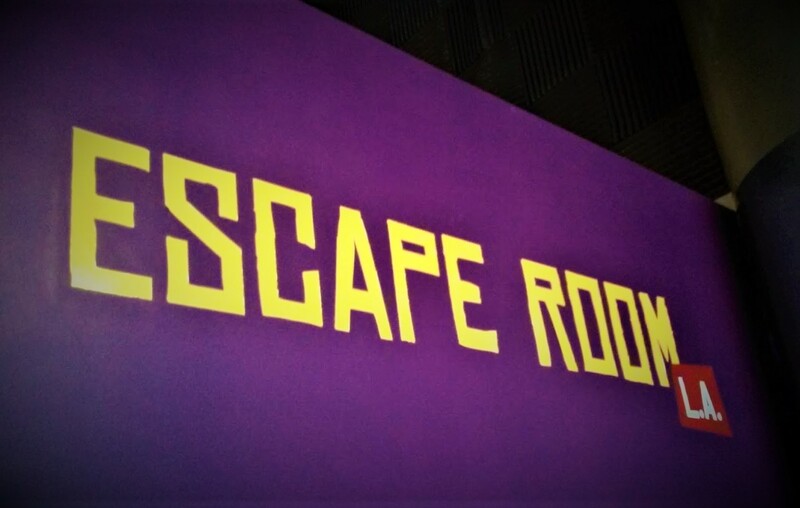 The Alita Experience is not an escape room or an interactive play, although there are costumed characters interacting with participants. Rather, Passport to Iron City is a game, played in teams of up to six, who compete with other teams to earn credits by completing tasks. Teams chose their own path through Iron City, selecting challenges they think will yield the most credits, either because they feel confidant of success or because the challenge offers bigger rewards. At the end, teams are encouraged to bet their winnings on a game of Motorball, in the hope of winning tokens of success. Inside the wall, there is the usual electronic scan for concealed weapons, after which you enter the building's check-in area. Here, you register, selecting a character name for the I.D. tag you will wear inside. Also, you are assigned to a team, identified by color. If you show up with five comrades, that will be your team; otherwise, you may be grouped with strangers. After checking in, you move to the Kansas bar, where you will spend approximately forty-five minutes, depending on your arrival time. Tickets are sold in time intervals; so, for example, if your arrival time is 4:00pm, your check-in period runs until 4:45. During this time, you may sip beer or wine, meet your new teammates, study the map of Iron City, or check out information terminals for clues that may assist you upon entering the city. The only task you can attempt at this point is to "find your other half." That is, your I.D. badge has half a symbol printed near the edge; if you can match your badge with that of another contestant (who may or may not be on your team), that is worth 3,000 credits (although you will not actually earn the credits until you get inside Iron City). Tip: You can also earn credits by taking selfies in the bar and post them on Facebook. Although you are playing as a team, each individual should post his/her individual photo in order to earn maximum credits. 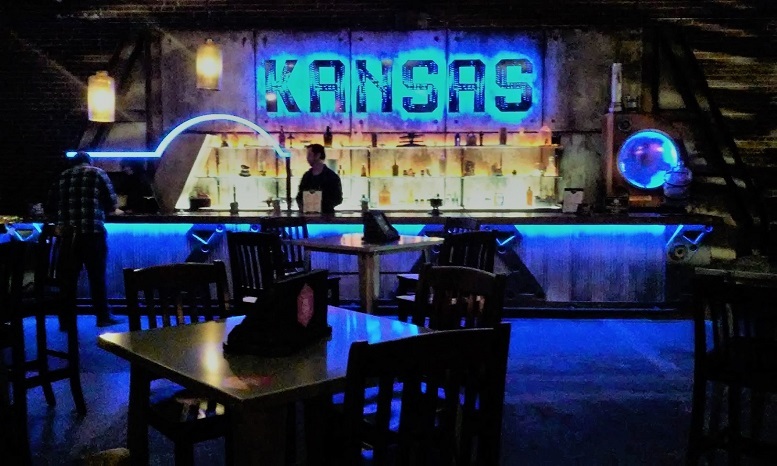 The Kansas Bar is a truly impressive hang-out. If you had any doubts about the $45 price tag for tickets, they will be immediately alleviated. The decor sets the tone for what will follow, immediately giving the impression of an elaborate, high-dollar experience. The only problem is the limited menu - mostly beer and wine, no hard liquor. 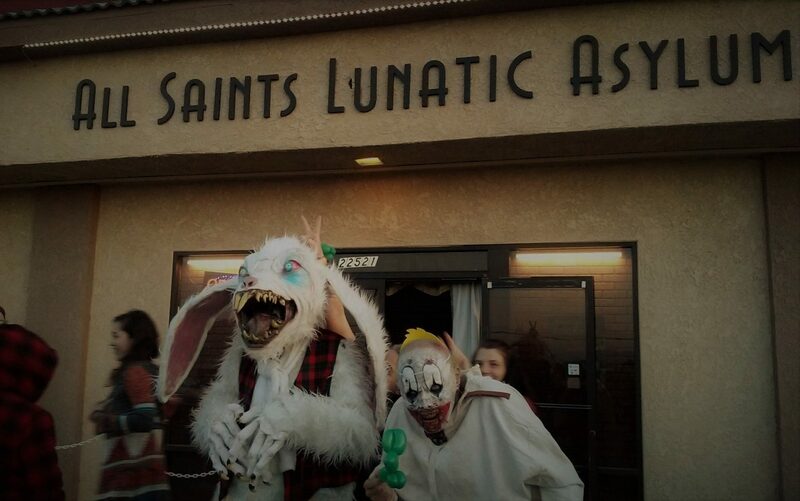 This is not quite what we would expect from an establishment supposedly serving dangerous hunter-warriors. And if you don't want beer or wine, your only other options are water or coke. 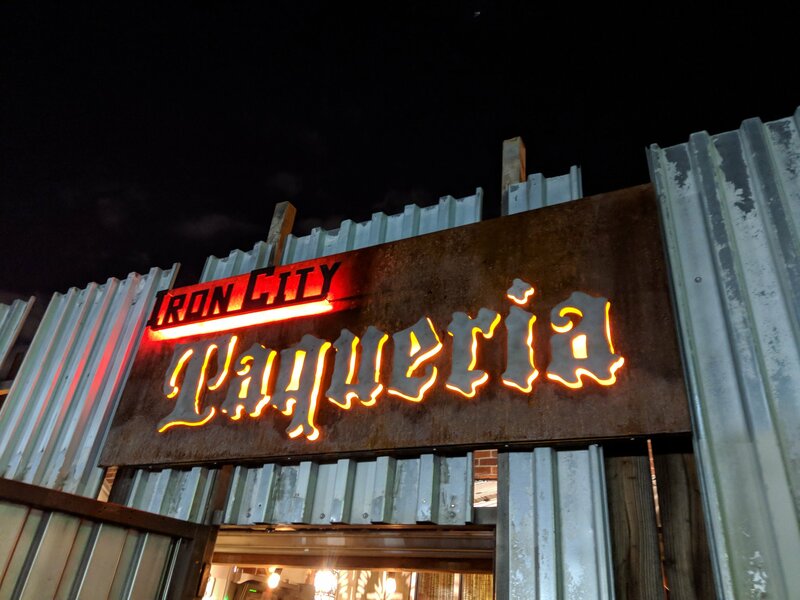 You can also purchase snacks (literally that's what it says on the menu: "snacks") to sustain yourself during your quest for credits inside Iron City. The majority of the Alita Experience takes place within Passport City. 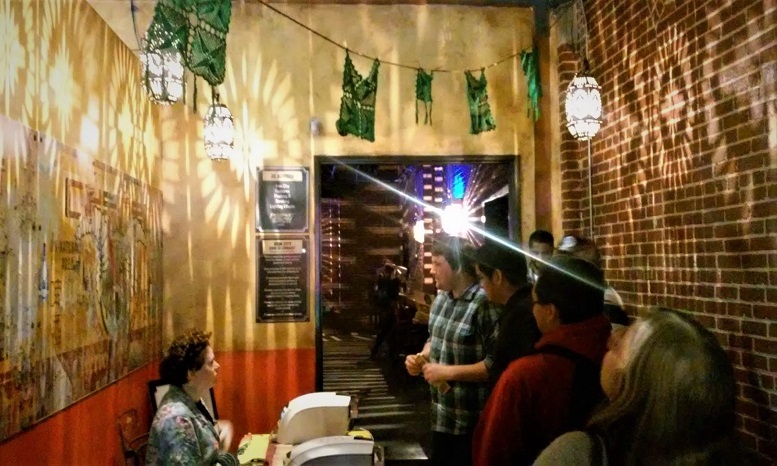 A guide collects your team from the Kansas bar and leads you to the entrance resembling a short alley to the central hub of activities. After receiving a few words of advice, you are set loose to wander, selecting challenges that you hope to overcome in your quest for credits. The first thing you notice is that Iron City is no futuristic labyrinth; this is not Disneyland. 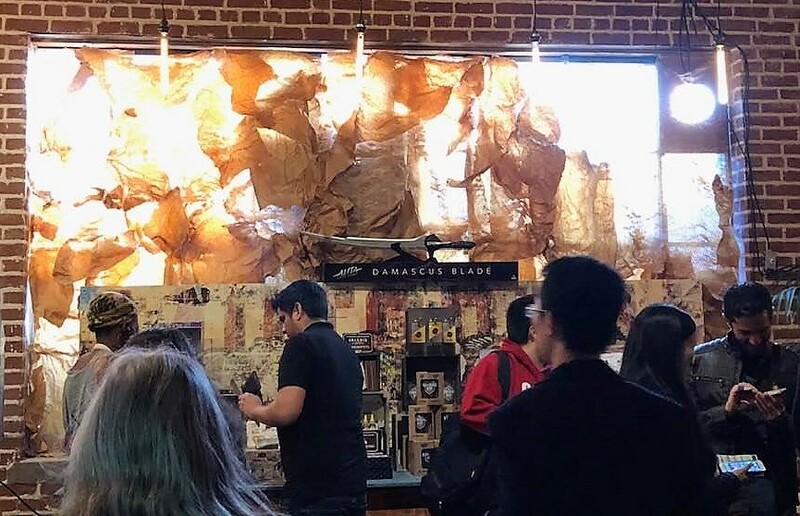 Rather, the setting resembles a bazaar, filled with stands where different characters hawk their wares: the Scrapyard, Music Auditions, Bounty Hunting Surveillance, Dr. Chiren's Enhancement Assessment, etc. Each of these stands affords an opportunity to earn credits, some more than others - though it may not be obvious which is most lucrative. Within the game's forty-five-minute time limit, it is impossible to attempt every challenge, so strategizing is necessary to optimize your teams efforts. Your most useful tool in this regard is the map to Iron City, which identifies the challenges at each stand, which fall into four categories: Logic, Risk, Sensory, and Active. The first depends on figuring out puzzles. Risk involves gambling on chance. Sensory involves identifying subjects by touch or smell. Active requires manual dexterity. Most of the stands offer more than one type of challenge. If you're in a small team with a limited skill set, you may focus on challenges suited to your particular strengths; if you're in a larger team, you may be better off visiting stands with multiple challenges. All of the challenges have time limits. Some are group efforts; some are more individually oriented. For an example of the first type, in the Scrapyard, all teams are expected to find high-value scrap items - one per member; most are hidden, which requires finding keys or solving combinations. In Dr. Chiren's Enhancement Assessment, on the other hand, each member will complete an individual task: identifying a melody, running in place, putting circuits in a circuit board, etc. Teams must stick together, and once a challenge is begun you pretty much have to see it through to conclusion. If you try to skip out in the middle, the other stands may be occupied by competing teams, or there may not be enough time to complete the challenge. When the time come to move to a new challenge, the characters will urge teams in particular directions to prevent log-jams at popular locations. As the allotted time in Passport City nears its conclusion, teams can see their credit tally atop the Deckman Leaderboard and wager any or all of them on the outcome at Motorball Stadium. The gamble is not quite as dangerous as it sounds: shady characters will offer you insider tips on who the likely winner is - in the form of clues that can be interpreted to reveal the name on which your bet should be placed. 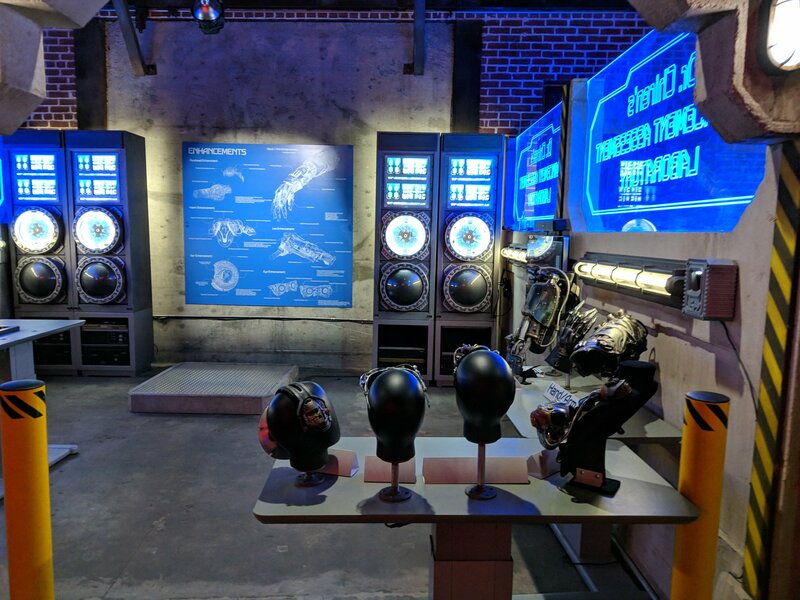 After the Motorball winner has been announced, team members head into a merchandise shop on the way out, which also offers a photo-opportunity with cyber-enhancement props for hands, arm, leg, eyes and head. Afterward, those so inclined may return to the Kansas Bar for another round of wine or ale. So, what is the best way to triumph at the Alita Experience? We suspect that small teams have the advantage. Credits are averaged among the number of players, so that, for example, a team of two would need to earn only one-third as many credits as a team of six. The more players in a team, the more likely there is to be a deadbeat who drags the average down. Also, in a team of six, individual players can get crowded out of some situations, decreasing their involvement. Knowledge of Alita: Battle Angel is not a necessity, but it is helpful. Some challenges are based on answering questions. The information is available either on the map or the info terminals in the Kansas bar, but unless you have photographic memory, you may not retain all the important data points. Someone who has been immersed in the manga, the anime, and/or the live-action film will have a small advantage here. Win or lose, Passport to Iron City is incredibly enjoyable. Generally, the tasks are difficult enough to be challenging but not frustrating, and the timing is just tight enough to add a level of urgency without spoiling the fun. There is enough variety so that everybody will find something he/she can do. The result feels like being turned loose inside an elaborate, themed arcade, where you pay one price for admission instead of dropping tokens in individual games. The experience is enhanced by the entertaining cast of characters presiding over the games, who are alternately helpful and mocking - either kindly pointing you in the right direction or jeering your for looking in the wrong place. 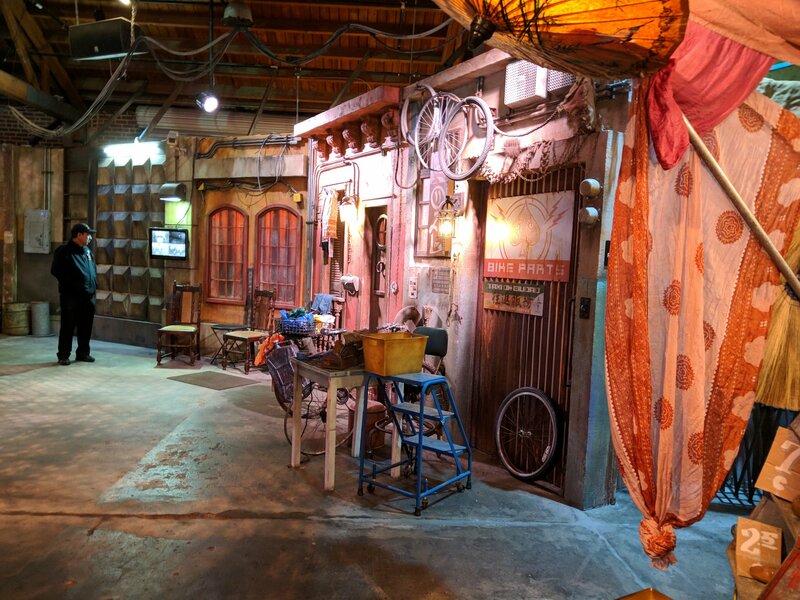 This turns Passport to Iron City into an immersive experience - a sort of mini-theme park set in a post-apocalyptic future. Fortunately, you don't need to be a cyber-enhanced battle angel to successfully navigate the mean streets of Iron City. Great settings, fun games. You’ll enjoy the challenge and want to hang out afterwards. Our only complaint is the limited drink menu at the Kansas bar. If there had been more options, we might have stayed all day. 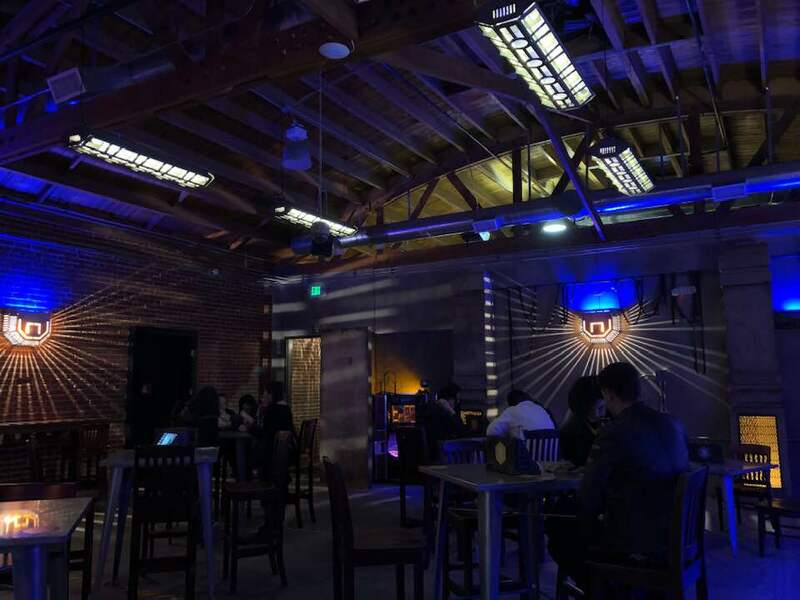 Passport to Iron City: The Alita Experience is located at t 1025 E. 16th Street, Los Angeles, CA 90021. Street parking is available. Tickets are currently on sale through March 31. Visit alitaexperience.com for more information.